Some good press from this week. SMAS helped bring the Cosmonauts to Bozeman High School. Lynn Powers was contact by Astronomers Without Borders to connect with Russian schools for a Space Lesson. Students were able to view through Virtual Reality googles videos taken on the International Space Station using the RT360 camera. Students also interacted with schools in Tomsk, Sochi and Korolev during their Space Lesson on portholes. Looking at historic portholes and the future of how portholes are used on spacecraft. We were joined in Bozeman by Eduard Chizhikov, head of the RT360 team from Russia. This was a test of a pilot program that will connect schools from around the world with the Russian schools during future Space Lessons. The test went very well and was encouraging to see that they will move the program forward. 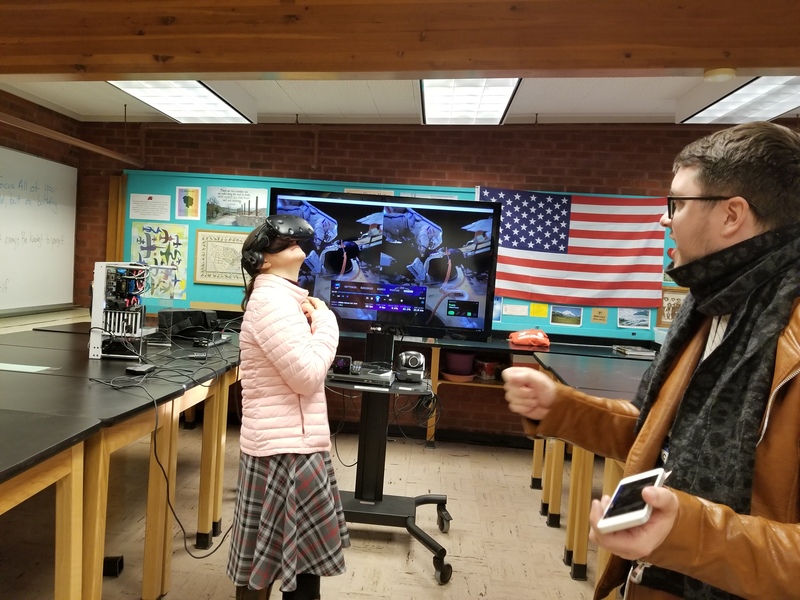 Also joining us was the team by the 6th Dimension from the mall, who brought in their computer set up so students and staff could experience the RT360 videos in a VR headset. MOSCOW, APRIL 11—RT partnered with US-based organization Astronomers without Borders to bring American and Russian students together during a live feed “space lesson” with cosmonauts aboard the International Space Station. During the live feed, the students learned about the importance of portholes on the spacecraft, before getting a chance to ask their own questions of the cosmonauts. The students also had the opportunity to exchange questions and answers about life in their respective home countries. When the lesson was over, the students in Montana had a chance to watch RT’s Space360 videos in VR glasses. RT started the educational “Space Lessons” project back in December in cooperation with GTRK Tomsk, RKK Energy, and Roscosmos. Using its unique, 360 videos filmed aboard the ISS, RT creates interactive lessons for Russian students learning about space and astronomy, but this was the first lesson to involve international participants. “The International Space Station is one of the few places where international cooperation is still a part of everyday life. I am excited that today not only do we get to share what we do up in space, but also show that cooperation between Americans and Russians is not only possible but is welcomed,” said Russian cosmonaut Andrei Borisenko, who was aboard the ISS last year and narrated the first episodes of RT’s Space 360 project. Having grown up during the Space Race, Lynn Powers, a teacher at Bozeman High School, was excited to bring this special event to more than 50 students. “I see how important it is to show our students the possibilites of working together like we do on the ISS conducting research. I have participated in several other programs with our students collaborating between different organizations, but to collaborate with our friends in Russia and the ISS was especially thrilling. This generation of students have the opportunity to ride the front of the wave into the new frontier of space exploration. Being able to participate today was truly an inspiration,” said Powers. RT is a leader among news outlets in the production of original content filmed in the groundbreaking 360-degree format. Currently, the RT360 library has more than 180 original videos. RT’s panoramic videos are available on Facebook and on YouTube. You can also access them using RT360 mobile app (Google Play, App Store and Oculus Store). About Astronomers Without Borders: AWB connects people worldwide through innovative programs that are accessible to everyone regardless of geography and culture. Combining local events with online technology and a global community, AWB is a leader in promoting understanding and peaceful international relations, while also supporting outreach and education in astronomy. Our organization believes that online programs have the power to bring everyone together live to experience the wonders of space, and in the process of looking outward together, we learn about each other, breaking down borders that divide and create lasting bonds. 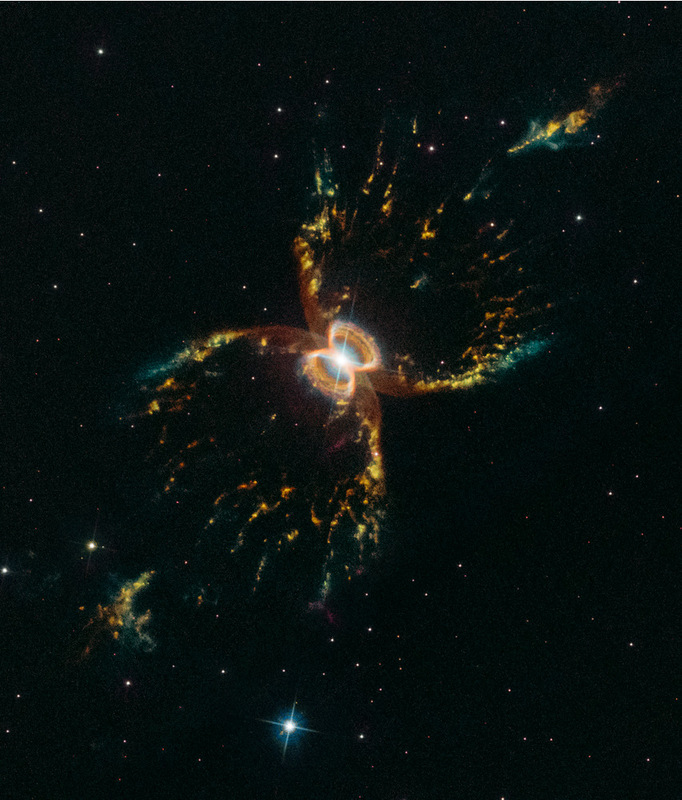 It is this bond between people that Astronomers Without Borders hopes to foster.